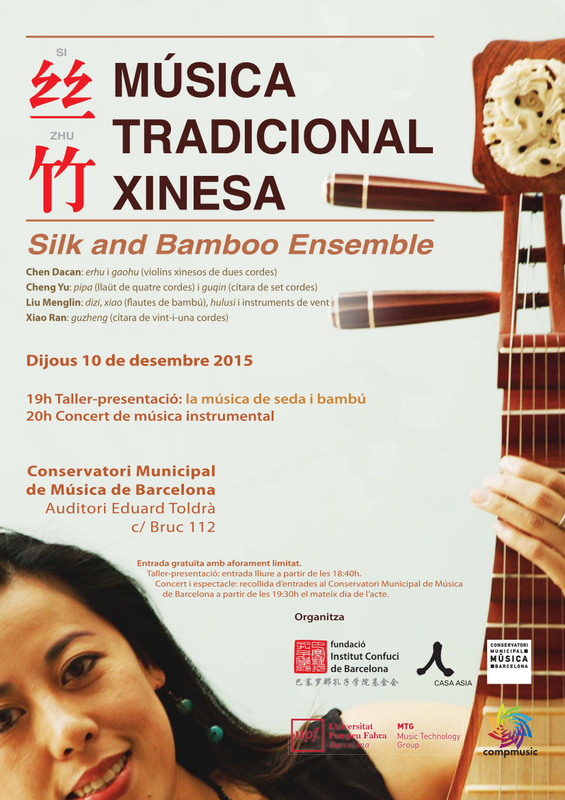 Live performances of Chinese traditional music in Barcelona! The CompMusic project, in collaboration with Casa Asia, the Barcelona Confucius Institute Foundation and the Conservatori Municipal de Música de Barcelona, is organising two sessions of Chinese traditional music in Barcelona. On December 10th four professional musicians from the London based Silk & Bamboo Ensemble will perform several pieces from the traditional instrumental repertoire. 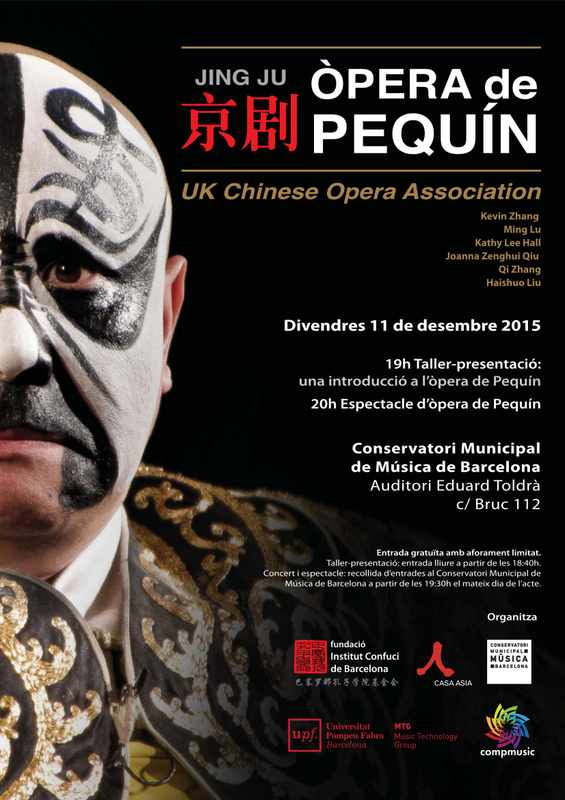 The following day, December 11th, the UK-Chinese Opera Association, also based in London, will send six of its members to Barcelona to perform two scenes from traditional jingju plays, The Forest of Wild Boars and The Fourth Son Visits his Mother. Each session will be preceded by workshops given in English by members of each group, in which the main features of each music tradition will be presented, including some live demos. Workshops start at 19:00 and concerts at 20:00 in the Auditori Eduard Toldrà, at the Conservatori Municipal de Música de Barcelona (Carrer del Bruc, 112), and the entrance is free!